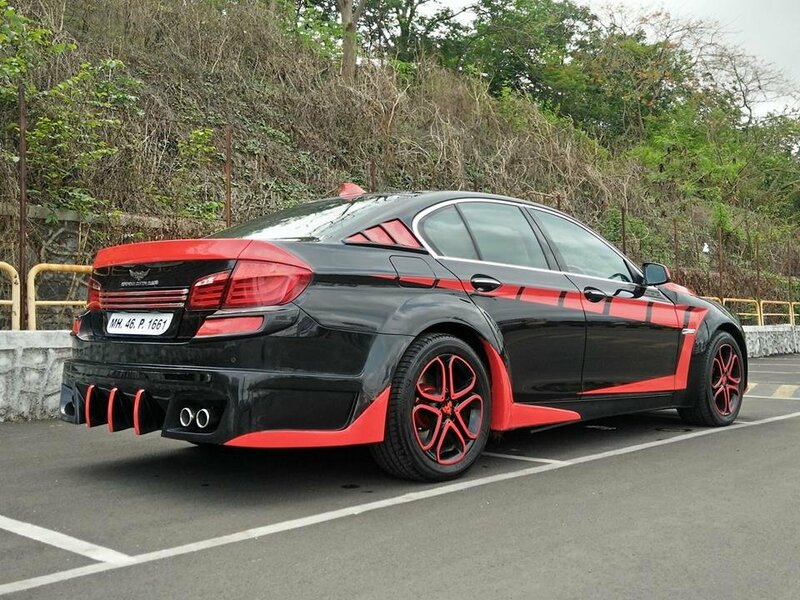 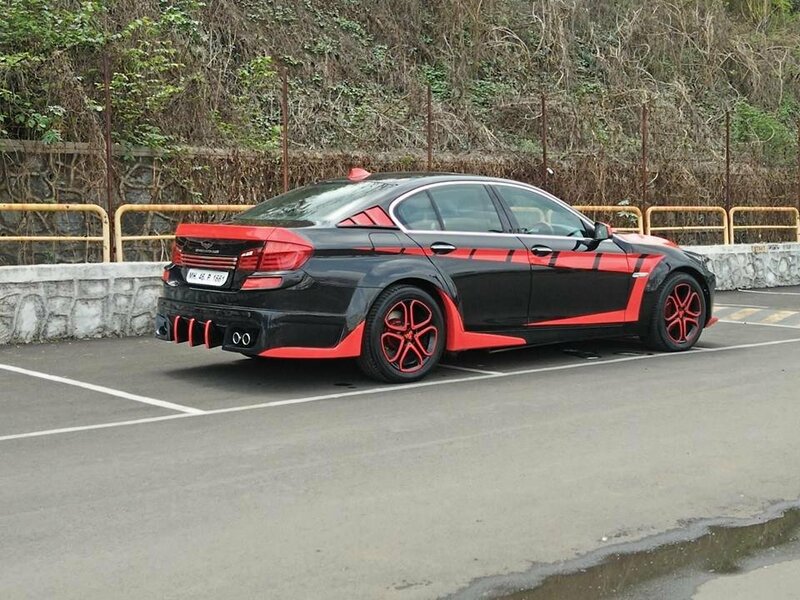 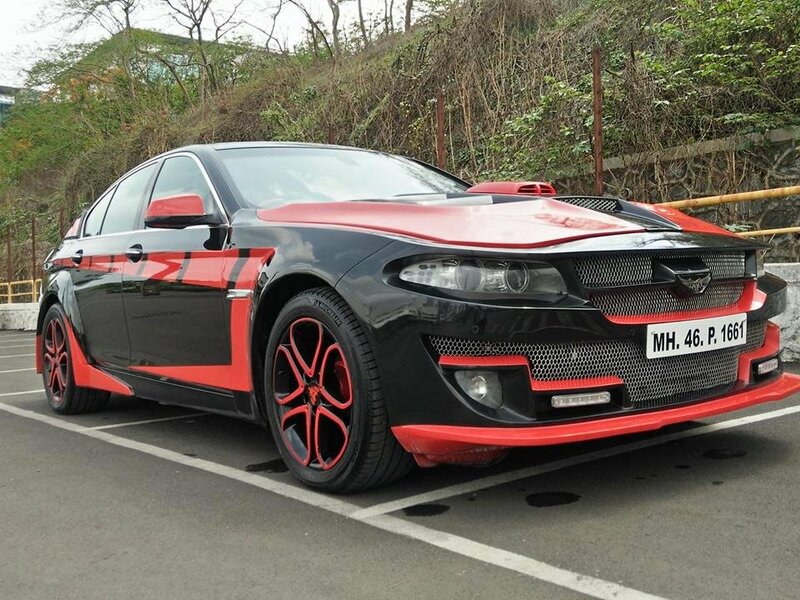 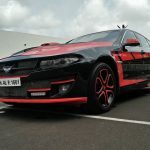 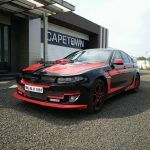 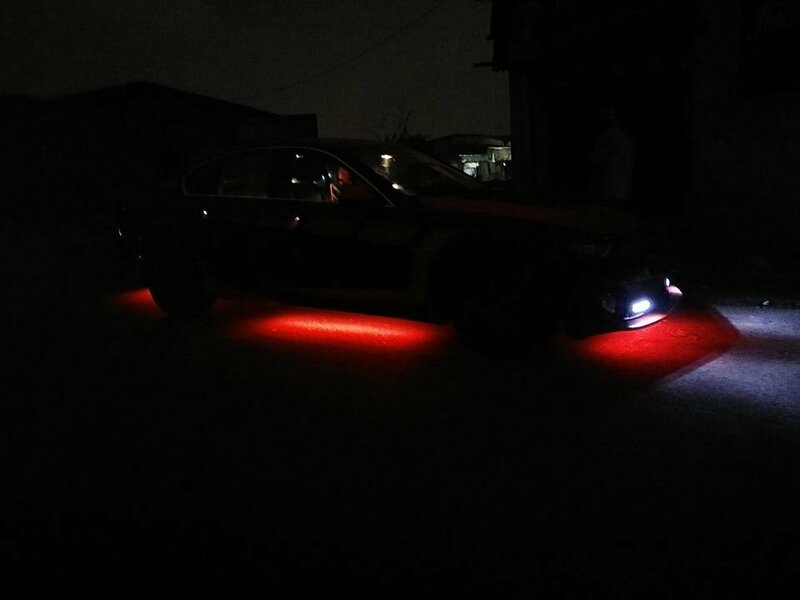 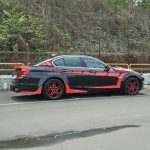 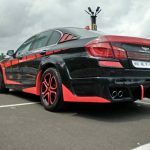 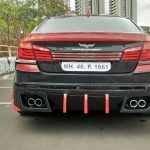 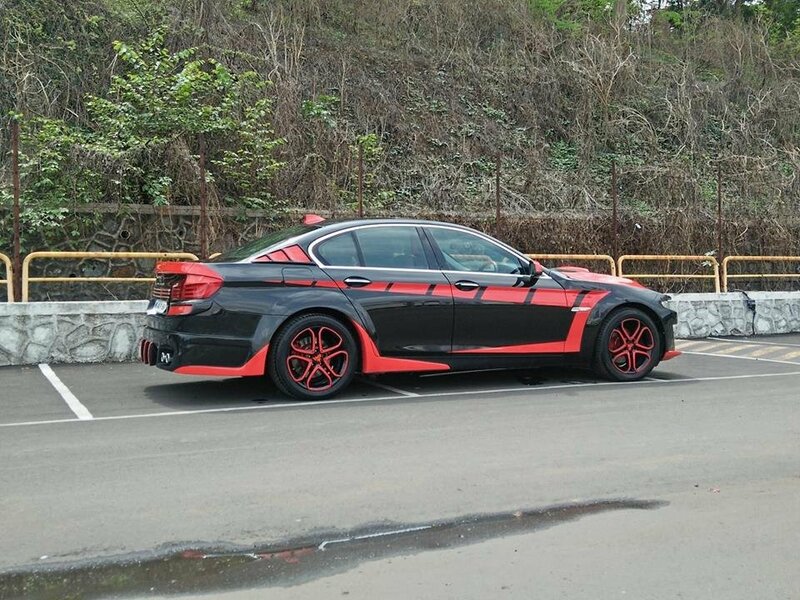 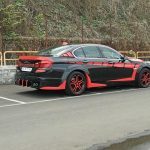 Modified BMW 5-Series - What the hell we are seeing? 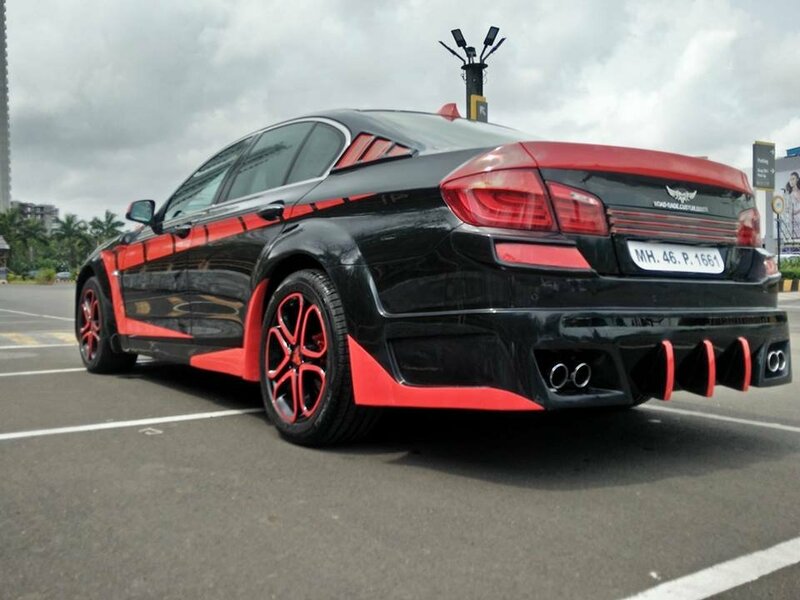 The BMW 5-Series is a car which has a great affinity for India. 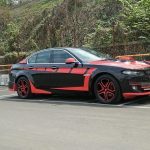 An executive sedan by nature, it is the company’s second best-selling model and is respected due to its good performance what if the car is made to look-like another International Icon? 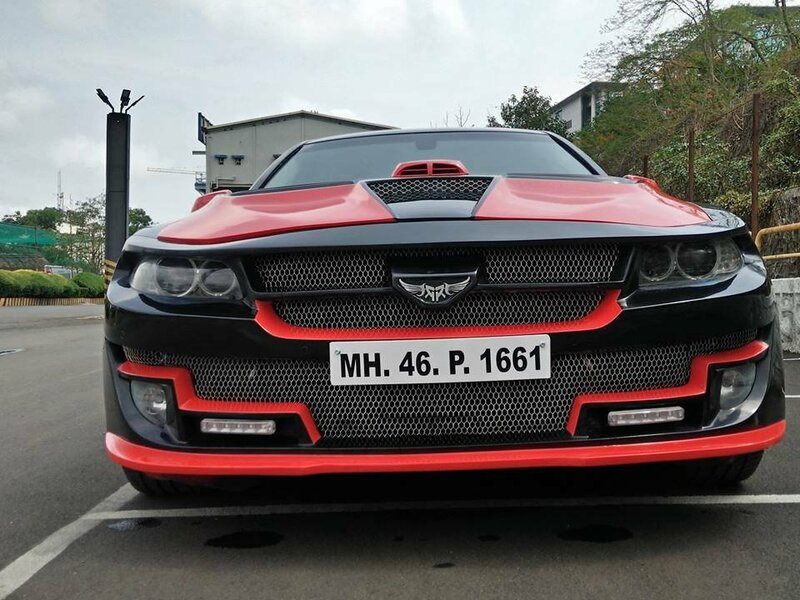 Well, the International Icon is none other than the Chevrolet Camaro. 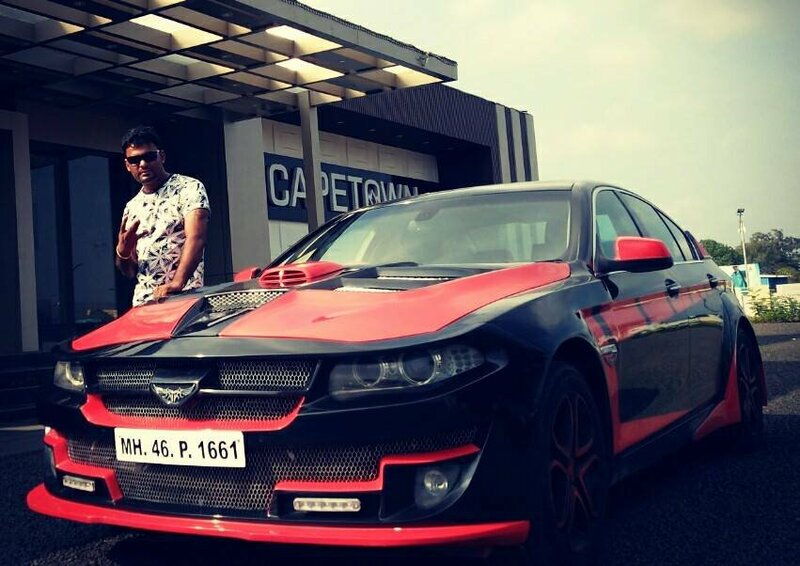 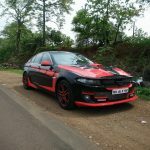 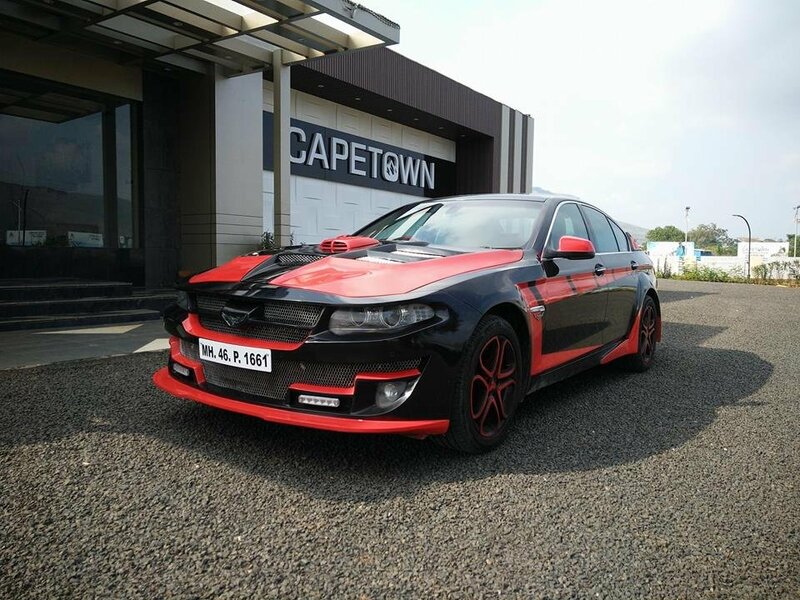 The Bumblebee has a huge fan following even here in India, a market in which it has not been launched so far, As mentioned above, this modified BMW 5-Series is a clone to the Chevrolet Camaro, which gives a former a bulky look just like the latter. 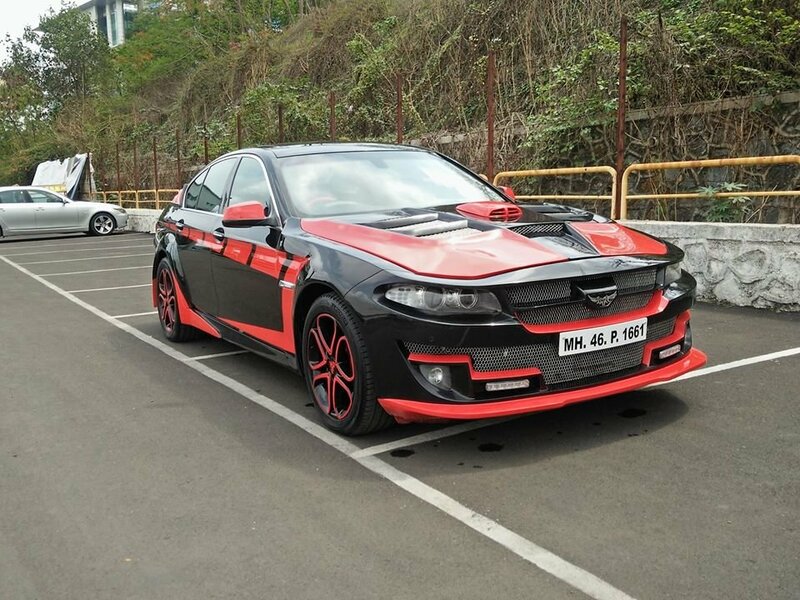 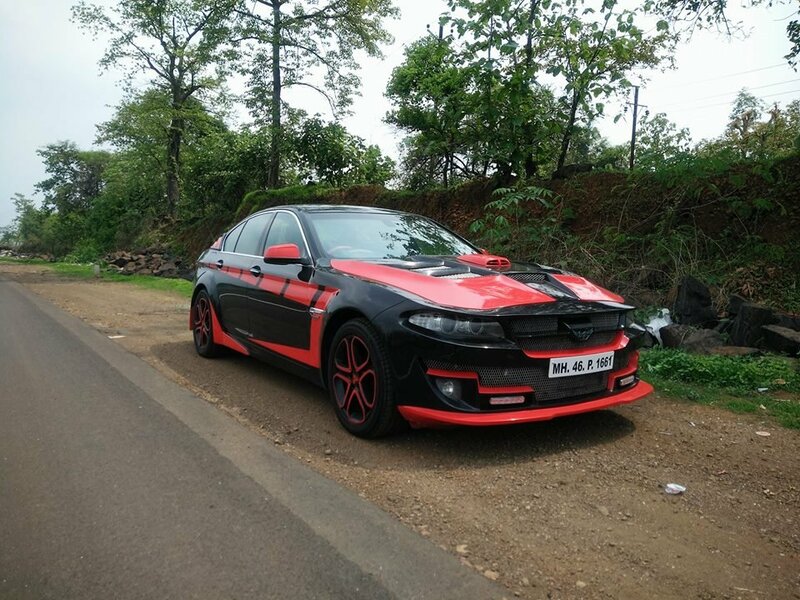 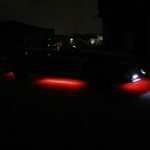 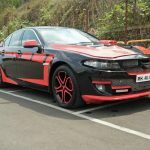 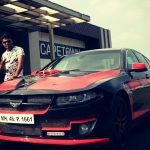 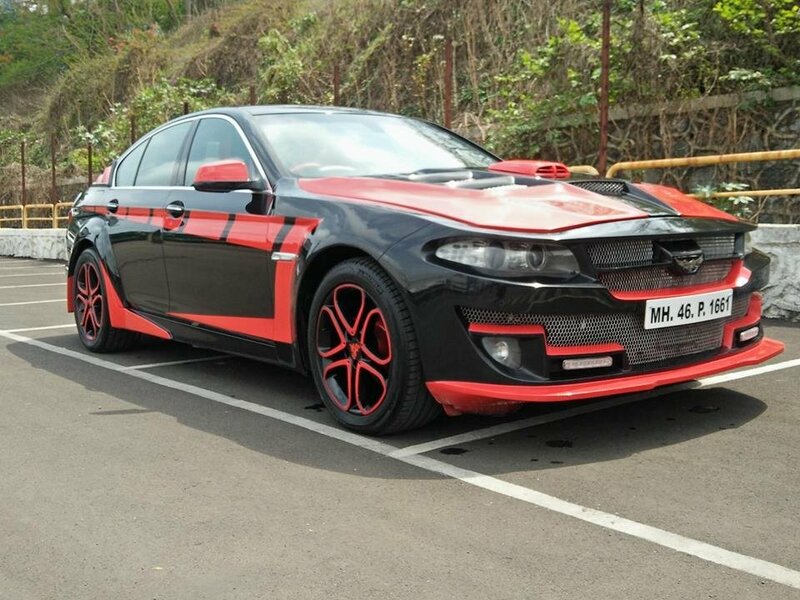 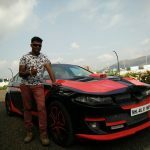 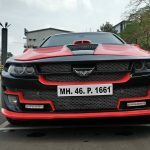 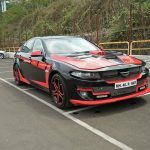 Mumbai-based Road Rage Custom Builds, a vehicle customization and remodeling company, has to be given credit for this piece of work. 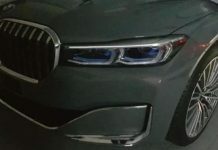 The BMW badge is exchanged for a custom-built RRCB logo with modifications to front and rear bumpers. 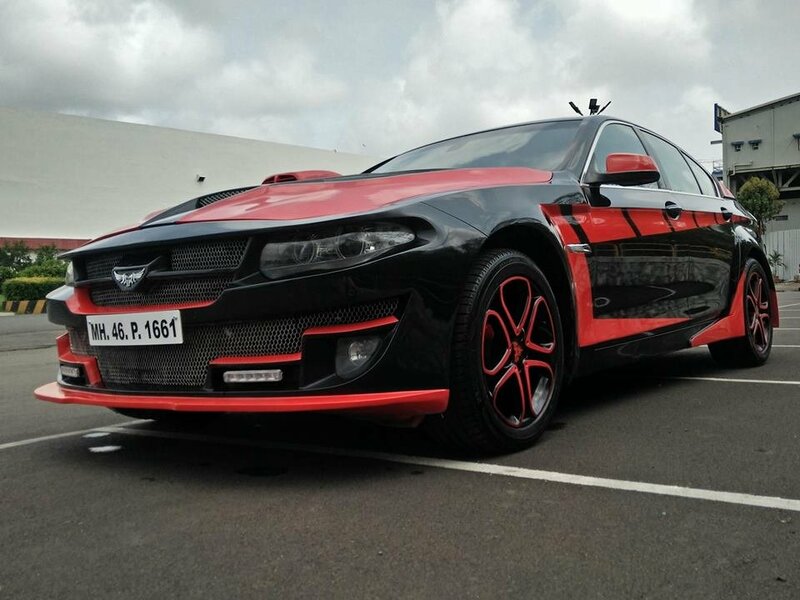 A new mesh and designer bonnet surround the front grille with a fearful shade of red and black, which has given a menacing look. 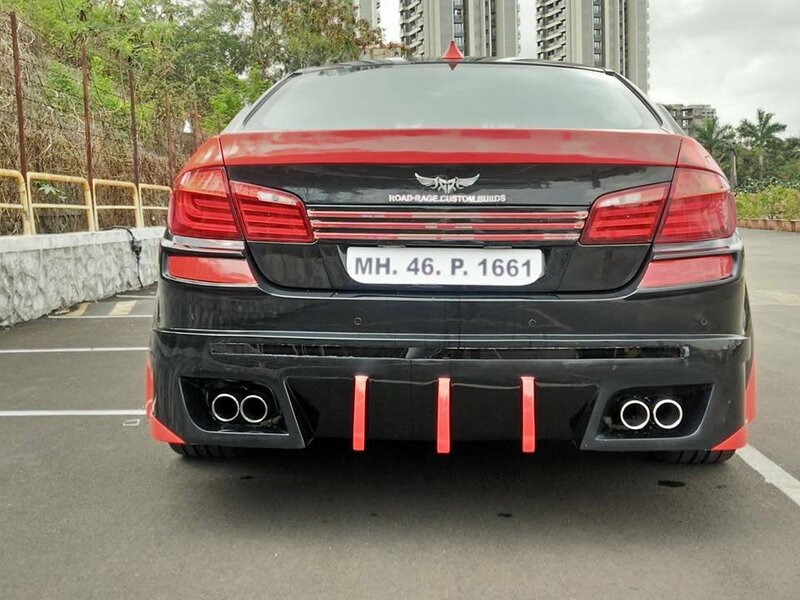 The front fenders have been extended a new air-vent has also been added. 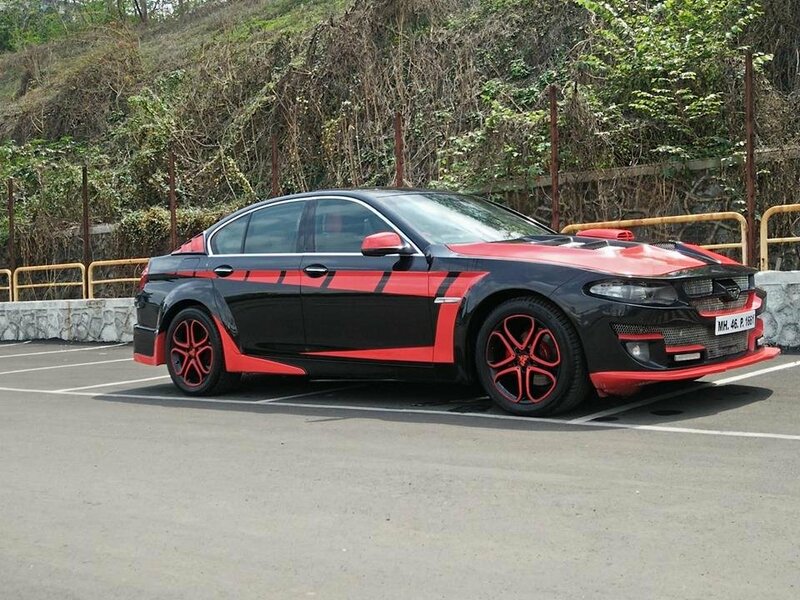 Other notable exterior attractions include the Adidas logo on the C-pillar and a shark fin antenna. 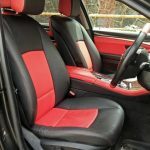 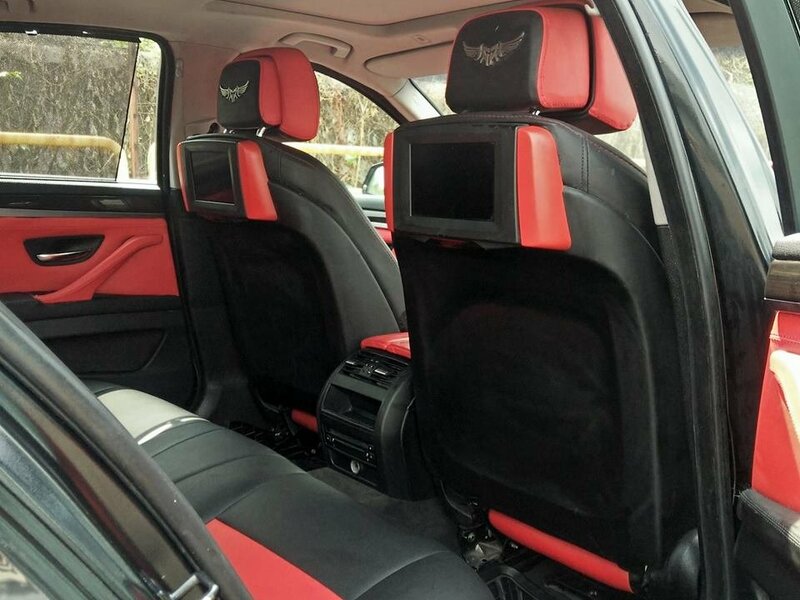 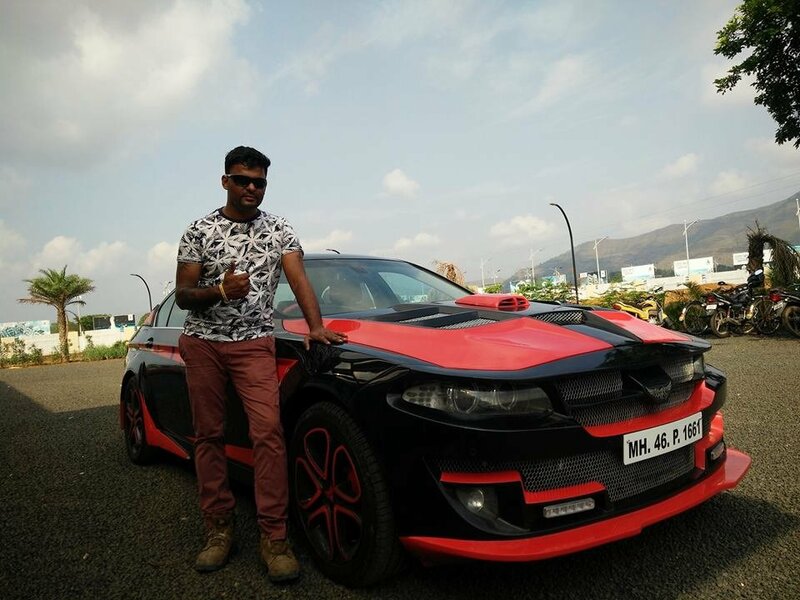 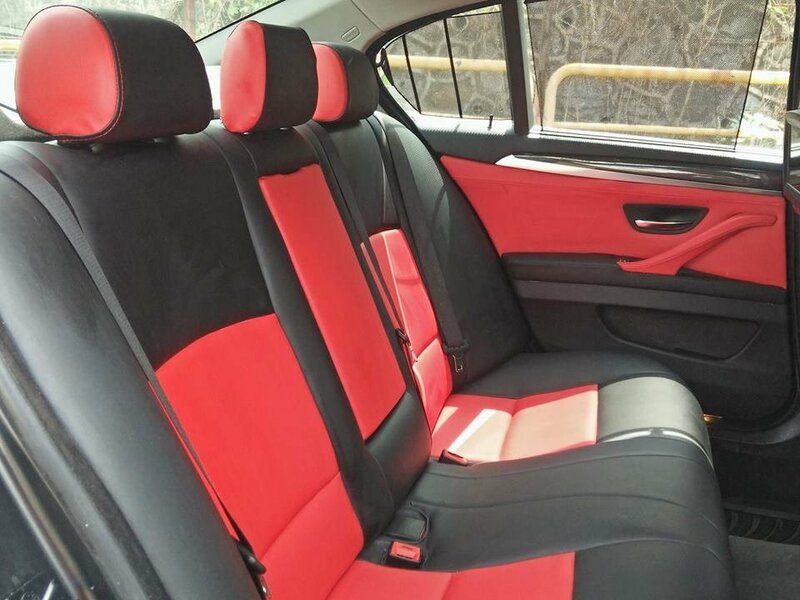 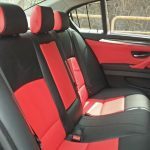 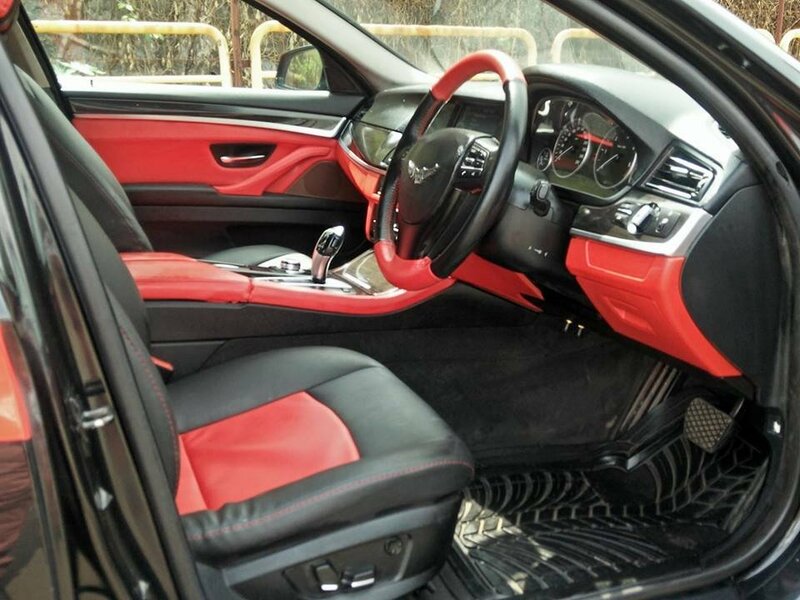 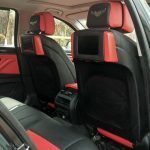 The interiors are also of red and black and give the car is completely new look. 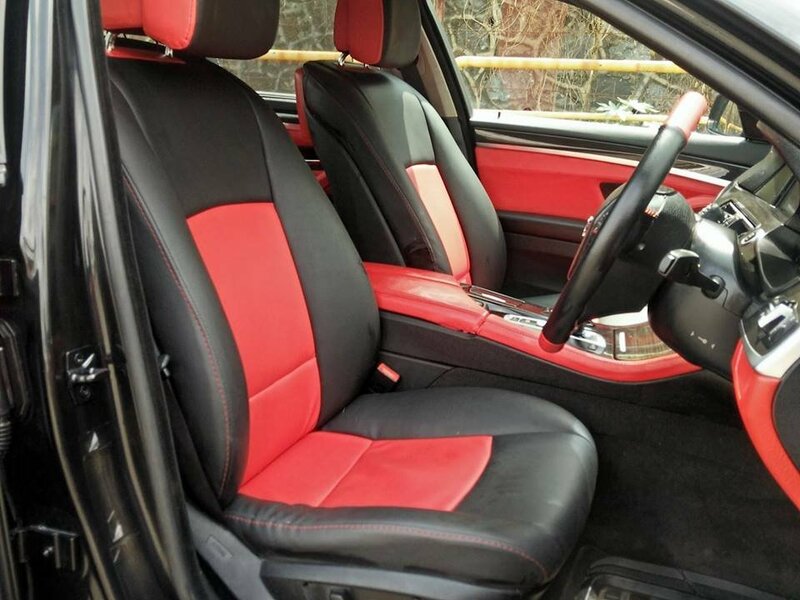 Note the custom badges on the steering wheel that replaces the Bimmer ones. 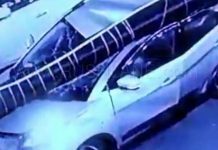 Next articleDrunk man laughingly stole policeman’s bike, then takes his cap too! 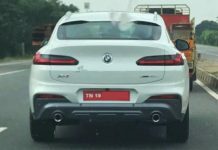 SPIED: BMW X4 spotted testing in India – to be CKD?